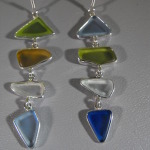 “By the sea, by the sea, by the beautiful sea………” Ocean water glass crafted by years and years of erosion of water on colored shards of glass…..all bezel set into sterling silver. 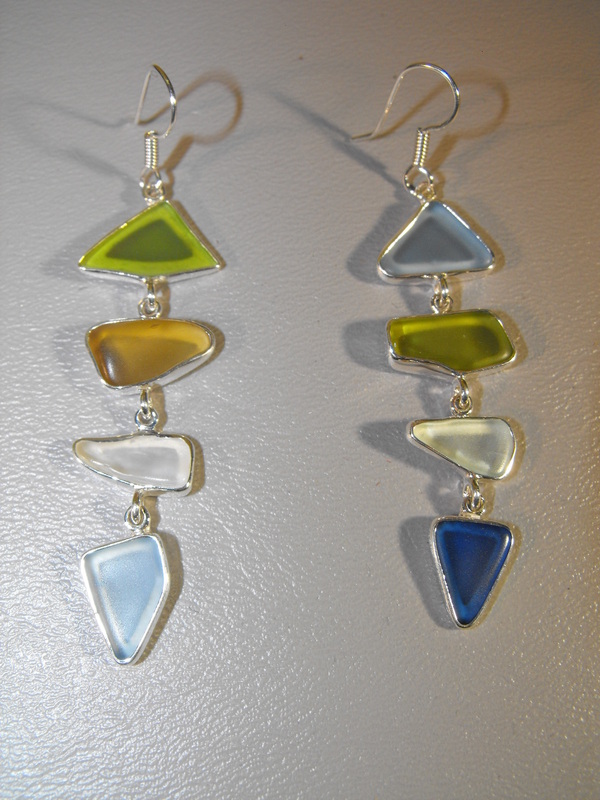 Both pierced earrings contain different pastel colors in each earring. 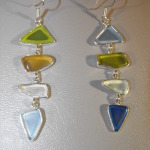 The earrings measure about 2 1/2″ in length. 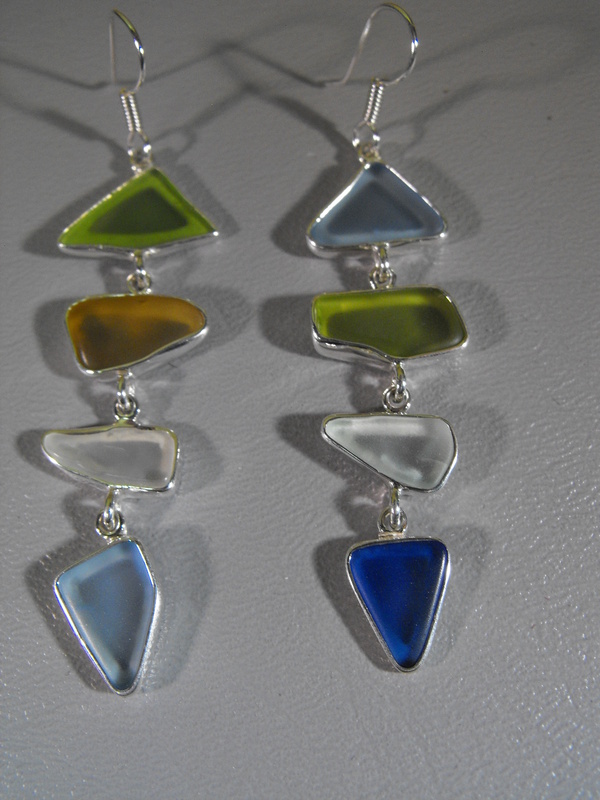 Each piece of irregularly shaped glass is perfectly bezel set into Sterling Silver. 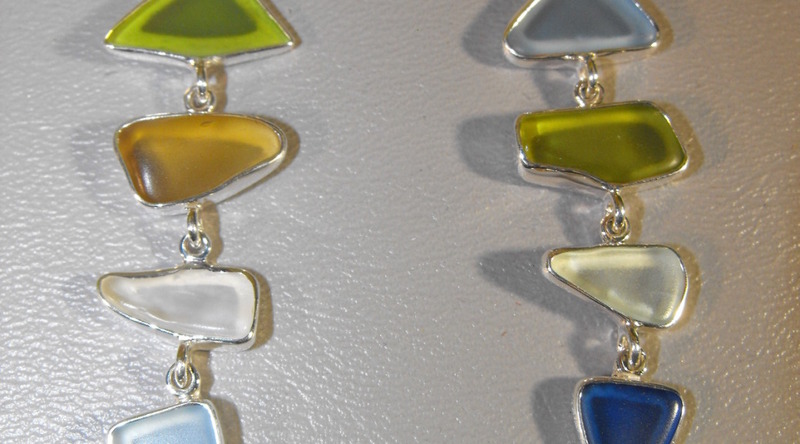 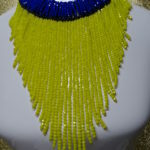 Make a statement on the water or on land.